Remember that movie with the same name? It starred Bradley Cooper and was about a special pill you could take that enabled you to access 100% of your brain (versus the conventional knowledge that says we only use 10%) and accomplish superhuman feats. 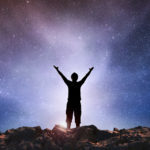 That movie struck a deep resonance with me because I have had moments in my life (and they are now occurring more often) where I feel that invincibility, that connection of oneness and feeling that everything is possible, LIMITLESS! And it was made possible by fresh roasted coffee and intermittent fasting. But first, I need to state some premises, my beliefs, that frames the context of my program (The Pak Kopi Protocol, or PKP). If you disagree with any of the following statements, I can save you some time by suggesting that you immediately stop reading. These statements are so essential in understanding and following the PKP, that I can safely say “it is not for you”. 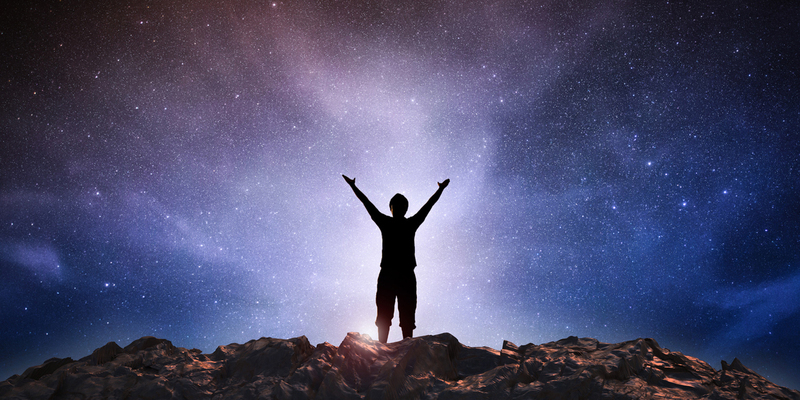 We are eternal spiritual beings having a human physical experience. We create our life experience through the thoughts that we think. In other words, we get what we think about, like it or not. We are creators and have the ability to be, do, or have anything. There is nothing that we cannot achieve or accomplish. If this physical life experience has the ability to inspire a desire within us, then it has the ability to fulfill that desire. The only thing preventing us from our desires is our own disbelief. It has taken me years to test, question and re-test the above statements until I have come to the place of total acceptance of them and understanding of how they work in this physical realm. I have done this through meditation (awareness of my thoughts, moment-to-moment, and how they manifest in the physical world), experimentation with psychedelics, as well as achieving temporary states of connection and enlightenment through natural processes like drinking fresh roasted coffee and intermittent fasting, and meditation. We are going to kick-start this process with a cup of coffee! It seems like a natural way since most of us are already doing this on a daily basis first thing in the morning. However, this is no ordinary coffee I am talking about. If you are like most people, you don’t think much about your morning “cuppa joe”. 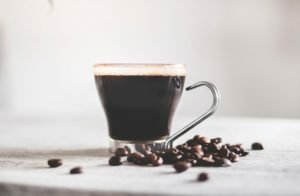 You probably have a routine around waking up and heading into the kitchen to your Keurig or Nespresso capsule machine to make your first cup of coffee. Living life like this is habitual, comfortable, and boring! If you want to shake things up and start living a deliberate, focused, exciting life where you are the master and in control of your life’s direction and purpose, then this new approach is for you! People in your life will be amazed at your transformation and will want to know your secret. You will be a role model for your friends, family, and co-workers, and they will want to emulate what you have done. To make a change, you must be willing to try something new… that’s all … just be willing! This transformation is not going to occur in days or weeks, it may take months or years, but I guarantee it will be so worth it! Coffee has the power to awaken, enliven, inspire, and get your creative juices flowing. I am not talking about the kind of coffee you are used to drinking, I am talking about the kind of coffee that provides clean energy, clarity of thought, and helps with the burning of body fat. Anybody can make this kind of coffee; it does not require any special training or sophisticated equipment. Just a willingness to learn and follow a logical progression that I will be showing you step-by-step. After you have learned the method, you will be a Home Barista Extraordinaire and know more about coffee than 99% of the population. The first phase of this program requires watching some videos I have created throughout the years. Again, it’s about context. You must understand some basic principals before learning by doing. These principals are not discussed or even acknowledged by the mainstream, yet, they are based on truth and logic and are actually very simple to understand. You just have to approach this information with an open mind. 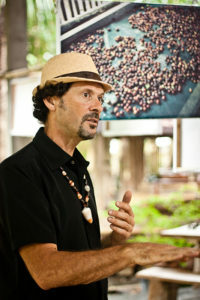 In 2012, I created a TEDx talk which has become one of the most widely watched talks about coffee with more than 1.5 million views. Let’s start your journey by watching it. This will give you a good foundation of where I am coming from…this is the very first step in taking control of your life and making a significant change. Some of the information and concepts I am sharing you may not have heard before, it’s okay to be skeptical, just be willing to take the next step. For this step, you are going to take a look at what kind of coffee you are currently drinking. I am not talking about what brand of coffee, I am talking about the actual species of coffee. There are two major types of coffee, Arabica and Robusta. There is a big difference between the two, with Robusta being the cheaper one and the one used by many of the large coffee companies. You want to avoid drinking Robusta because it has twice the caffeine content as its Arabica counterpart. Its too much caffeine, in my opinion! Take a look at the labels of the coffee you are currently using. What does it say? Are Arabica and Robusta even mentioned? If not, you can be sure it is partly, if not 100%, Robusta, and you want to change that. If it says it is a blend of Arabica and Robusta, you also want to change that. It is important to only use 100% Arabica. Less caffeine means a less jittery feeling and better ability to focus and concentrate clearly. Since Arabica is the higher quality species, if your coffee is 100% Arabica, it will definitely say so on the packaging, and if it does not, you need to change the kind of coffee you are drinking. Congratulations! By understanding the difference between Arabica and Robusta, you already know more than 95% of the coffee drinkers in the world. If you want to take a break here, please do, and allow this knowledge to germinate into your thoughts and consciousness. 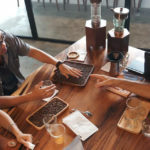 For this next step, you need to understand the difference between coffee that is roasted fresh and consumed right away, and coffee that is roasted, placed in vacuum sealed bags and sits on a store shelf. The former has valuable substances and nutrients that affects the way you feel and gives you clarity of thought. The latter provides you with a dose of caffeine that only stimulates your nervous system. It may be helpful to watch these two videos more than once. 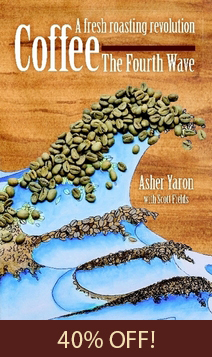 This is getting into a more complex understanding of coffee and the roasting process. Again, take your time with this. Let the information sink in, and allow these concepts to evolve with your own experience and consciousness. Step 4: Coffee And Consciousness, The Link Between The Two. This is the final step of your research and learning process of understanding what kind of coffee you are drinking, what kind of coffee you want to be drinking, and coffee’s powerful effects on your brain and body. This is advanced information and it is important to understand fully, watch this next video a few times if necessary. Now that you have educated yourself by completing Steps 1-4, it is time to enter the next phase, home barista training and acquiring the necessary equipment for Roasting, Grinding, and Brewing your coffee. You may already have some of this equipment. 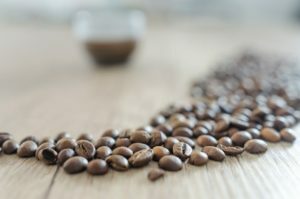 One of the first questions I get asked when I encourage people to roast their own coffee at home is, “But where can I buy green coffee?” There are more and more green coffee resources as home roasting is becoming more popular. Here is the latest list for green coffee sources in the US and Canada. You probably do not currently have a way to roast your own coffee. This can be done two ways. 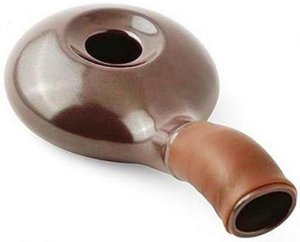 The other way is to purchase a home coffee roasting device. The price range of these machines and their ability to roast specific quantities vary greatly. I would suggest first getting some roasting experience by purchasing simpler, less expensive equipment such as the Nuvo Eco (note: we have no affiliate relationship with the manufacturers – I just like it as a basic option for learning how to roast). One can be purchased for around $30 and there is a big difference in performance between a burr grinder and a blade grinder. Less important is what brand of burr grinder it is, and whether it is flat burr or conical burr. Conical burr grinders tend to be a lot more expensive and, in my opinion, not worth the extra expense. Also better to get an electric rather than manual grinder, unless, of course, you do not have electricity (like on a camping trip). Manual grinders are a lot of work and effort to grind the needed amount of coffee. 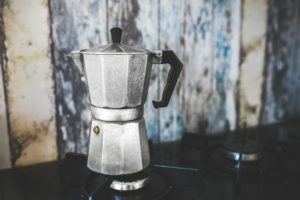 My favorite method for brewing is the stove-top espresso maker or what’s called a moka pot. This method produces the strongest coffee for the least expense. If you like your coffee less strong then you may want to choose a different brewing method; a pourover coffee maker or French press will result in a brew that is smooth and milder. Since you will be using fresh roasted coffee, it will still provide a high potency factor when using either method. Both are inexpensive and can be acquired for under $20. If you do not already own Roasting, Grinding or Brewing equipment, than the above three pieces can be acquired for a very low cost, under $100! This is a great way to start on your Home Barista journey! Full Disclosure: At CoffeeTruther, we are committed to the practice and advancement of Home Barista Training. 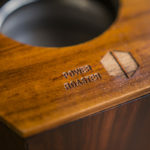 We believe that everyone should be roasting, grinding and brewing their own coffee because of the many benefits they will receive—an elevated daily coffee experience through increased energy, focused thought, and positivity—as well as the financial benefit of saving money on your daily coffee expenditure. My team and I are professional coffee roasters and baristas with decades of experience. We understand the process and want to simplify it in order to reach as many people as possible. We have designed and manufactured the necessary equipment for being a Home Barista, and have created coffee instructional videos and webinars on how to use this equipment. There are many tips and tricks that we freely offer that we have acquired over the years and that you will not hear anywhere else. Plus, the features of our equipment include additional tools that will help the Home Barista. Where possible we have kept the cost of our equipment as low or lower than other similar machines, and we have chosen to sell directly to the consumer and cut out the middleman. This is why you will not find our equipment on Amazon or other big retailers. Intermittent fasting (IF) has become one of the fastest growing health practices among those who have had specific illnesses they have wanted to treat naturally, as well as those, like me, who have always wanted to get rid of belly fat and have a body that functions well and looks great! Every day we are exposed to toxins in the air we breathe, the water we drink, and the food we consume. These toxins build up in our bodies and have a cumulative effect and cause unnatural diseases. By giving our digestive systems a break (through fasting) we can self-heal and release these toxins that are stored in our fat cells. If they are not dealt with and released now, then the cumulative effect of these toxins can develop into more serious diseases. 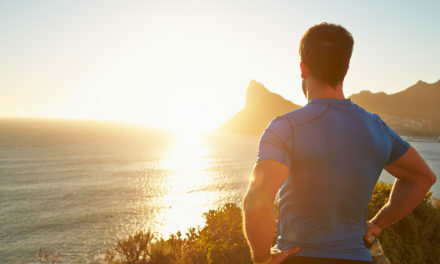 Conversely, by embarking on an intermittent fasting regimen and protocol, it is possible not only to develop the body you’ve always wanted, but to also create a body, mind and spirit that feels great and functions better than you could have ever imagined! Please be aware that there may be a detox process through IF. It is quite common to experience side effects as your body releases the toxins stored in your fat cells. For me this was manifested early through breakouts on my skin such as an itchy rash (commonly referred to as a “keto rash”). It only lasted about three days, and once I realized the reason for it, my mind was put at ease and I knew it was a positive result from my new practice. I highly recommend researching this topic online before beginning your IF program. There are many resources available through YouTube that will give you a knowledge and background in how IF works. Research videos by: Dr. Jason Fung, Dr. Eric Berg, Thomas Delauer, Fledge Fitness, and Brix Fitness. You may want to combine IF with a ketogenic diet for faster results. I began with a 16 hour fast and an eight hour eating window which I did every day for the first month. This is the easiest way to get started and, in my opinion, is the minimal amount of fasting time to see results. I then graduated to an 18 hour fasting period and six hour eating window which I did for another month before settling on a 20 hour fasting time and four hour eating window (also referred to as the “Warrior Diet”). I have never felt or looked better in my entire life! The fasting period allows you to drink water, soda water, black coffee and black tea. This is where the power of fresh roasted coffee comes in and where your Home Barista skills will pay off! The above mentioned IF experts only refer to “black” coffee. They do not mention the importance of using only 100% Arabica coffee, or of the importance of fresh roasting. Now that you have experienced the benefits and incredible difference fresh roasted coffee makes, you can incorporate it into your IF regimen. 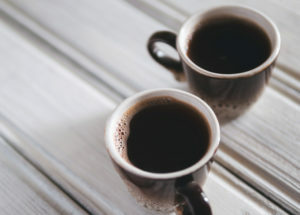 Because they are drinking coffee on an empty stomach, it is much easier to feel the effects of the coffee, thus making it even MORE important to choose their coffee wisely. It is the only opportunity during the fasting period that it is possible to drink, basically, what amounts to liquid energy! Choosing 100% Arabica and using fresh roasted coffee is giving your brain and body a super premium energy source that will last for hours and will help suppress appetite and hunger. It will also help your body burn fat and increase the body’s own cell recycling method. 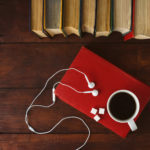 We encourage you to do further research on these topics, there is a lot of really good information out there and a lot of benefits to be had naturally and free of charge! 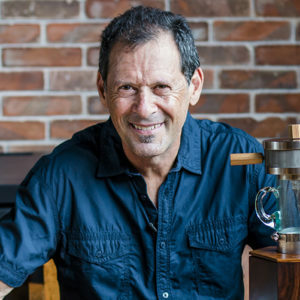 IN SUMMARY, POSSESSING KNOWLEDGE ABOUT ROASTING YOUR OWN COFFEE, AND UNDERSTANDING HOW TO TUNE INTO AND CLEAR OUT THE TEMPLE THAT IS YOUR BODY IS A POWERFUL COMBINATION THAT IS BOTH MIRACULOUS AND ENLIGHTENING! ENJOY THE JOURNEY, EXPERIENCE THE RESULTS, AND TRANSFORM YOUR LIFE! 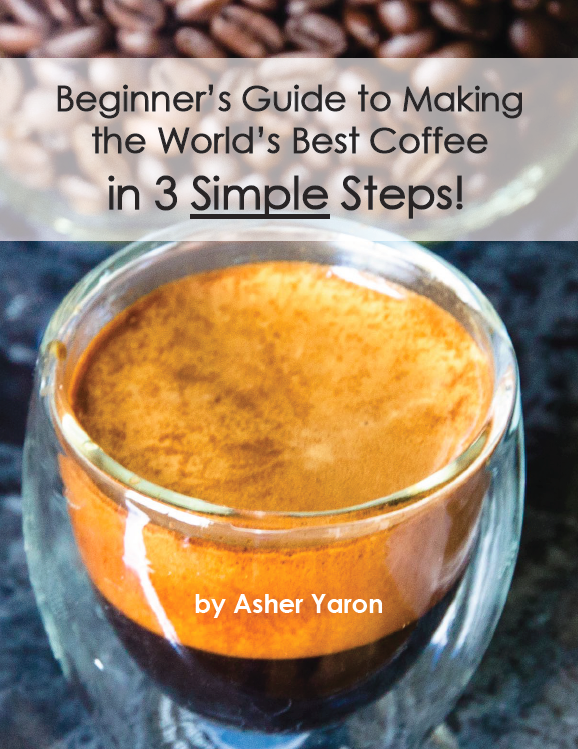 Before you go, don’t forget to get your Green Coffee Supplier Guide! NextHappiness: Achieving it, Keeping it, and Expanding it!